Big Bear Lake, CA – On Tuesday, October 30, deputies from the Big Bear Sheriff’s Station conducted a traffic stop on Ironwood Drive in Big Bear Lake on a vehicle displaying expired registration tabs. The driver of the vehicle, identified as Stephen Lemelle, was found to have an active warrant issued for his arrest. While conducting a search of the vehicle, deputies located methamphetamine and related paraphernalia inside the car. Lemelle was detained without incident and transported to the Big Bear Jail for booking on misdemeanor charges of being in possession of a controlled substance and unlawfully possessing paraphernalia. While conducting a search of Lemelle’s personal property at the jail, deputies located several pawn slip receipts for various power tools. 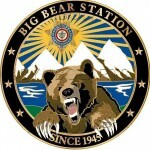 Investigation into the matter was conducted by the Big Bear Detective Bureau, and it was determined that the pawn slips matched items recently stolen in multiple burglaries that occurred in the Big Bear and Arrowhead areas. Lemelle was booked on a supplemental felony charge of receiving stolen property. As a result of the investigation, Detectives believed Lemelle to be in possession of additional stolen items that had not yet been pawned. Shortly before 9:00 a.m. on November 1st, Detectives conducted a search of a residence in the 700 block of Edgemoor Road in Big Bear Lake where Lemelle was staying. Additional power tools and other items not belonging to Lemelle, including air compressors, chain saws and snowshoes were seized at the scene. Detectives have identified rightful owners of some of the stolen items, and their property has been returned. The Big Bear Sheriff’s Station is seeking the public’s assistance to identify owners of the remaining items that were stolen. If you have been a recent victim of a reported burglary and believe any of these items belong to you, please contact the Big Bear Sheriff’s Station – (909) 866-0100. Stephen Lemelle remains in custody in lieu of $50,000, with court procedures scheduled for today in San Bernardino County Superior Court.